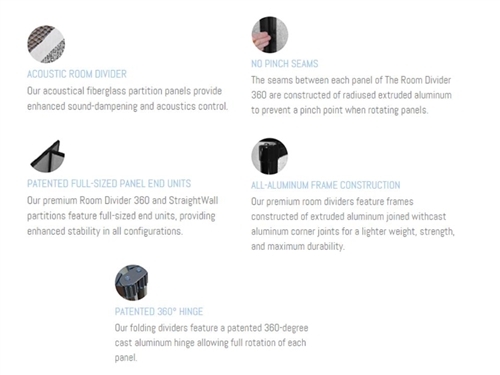 Our 360° hinge permits arrangement options not found on competitor's room dividers, which often use inflexible piano hinges that require plastic locks to maintain a straight line. 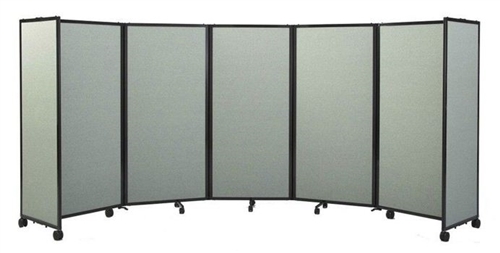 The Room Divider 360 hinge allows each panel to rotate a full 360 degrees, providing unparalleled flexibility. Create a variety of shapes, from "L" edges to circular "C" shapes, or even perfectly straight lines. 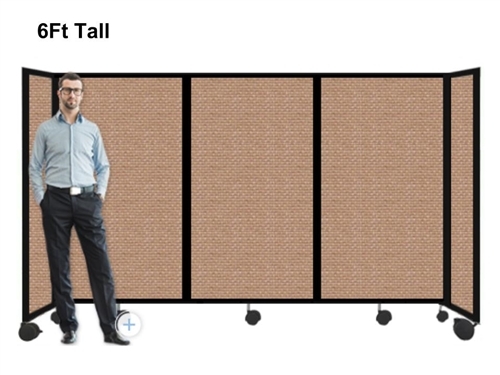 Room Divider 360 is quickly becoming the industry standard for creating impromptu office workstations or classroom areas due to its infinite arrangement possibilities.